Liebert® PCW is the ideal cooling unit for Cooling the Cloud. 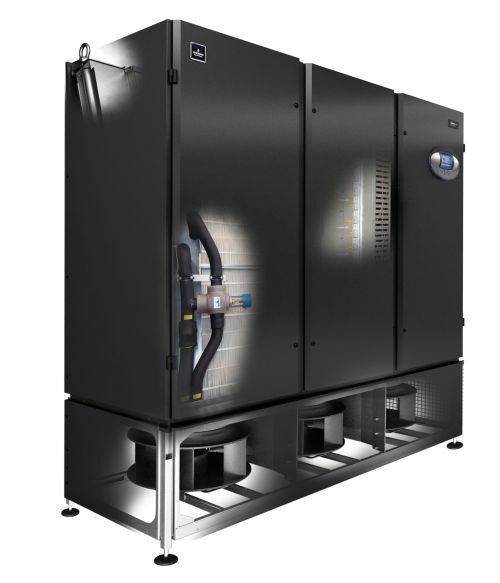 Utilising chilled water as its cooling fluid and available in a wide variety of floor mounted configurations, Liebert PCW is appropriate for all data centers from 200 kW to 6 MW. Liebert PCW patented technology ensures optimum energy efficiency for cooling data centersimpacted by the sheer density and variability of demand resultant from Cloud technologies, without compromising on performance or reliability. When combined with Liebert HPC Freecooling Chillers, this solution provides the ultimate in energy efficient data center cooling. Read the press release: Emerson Network Power ‘Cools The Cloud’ With Liebert PCW. EC Fan 2.0 – At the heart of Liebert PCW are the new generation of fans, developed with EBM, to dramatically reduce the noise level produced during operation while significantly increasing the efficiency of the unit. Unit Inner Aeraulic Design – Cutting-edge design for the coil and the electrical panel places Liebert PCW at the forefront of precision cooling for data centers. Efficient Humidification Technology – To maintain the moisture content in the atmosphere the Liebert® PCW has an ultrasonic humidifer. If preferred infrared or electrode humidifiers are two efficient, available, alternatives. 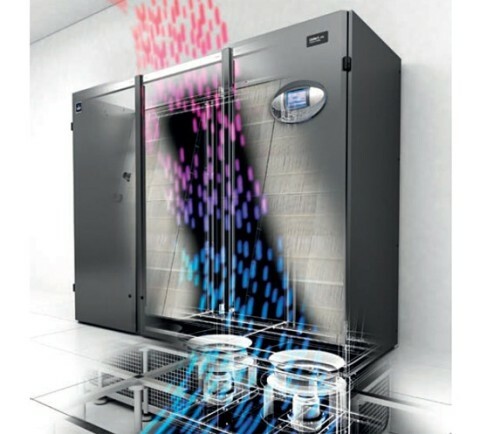 iCOM Control – Smart mode is a unique control algorithm developed for Smart Aisle application (Cold Aisle containment) to dynamically adjust the airflow and cooling provided to match the needs of the servers eliminating the need to overcool your facility. Ultimate Solution – Liebert PCW combines with Liebert® HPC Freecooling Chillers to give optimum efficiency of the whole thermal management system. Simplified Installation – Adjustable legs, fast electrical kit and water connection on demand make installation easy.